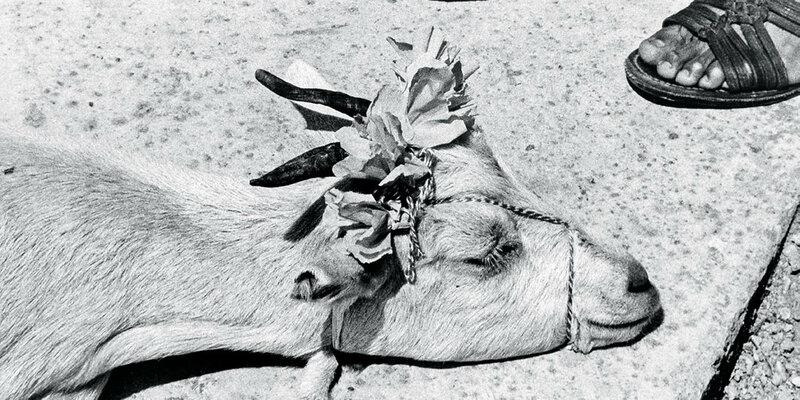 In these times, when walls literally and symbolically epitomize a perverse, exclusionary outlook on the foreign, the work of Mexican photographer Graciela Iturbide strikes with the relentless perspective of an insider. Frustrating the clichés of folklore and the picturesque, Iturbide’s sumptuous black-and-white images reach for the untold stories and overlooked narratives of her home countryits intricate religious and indigenous cultures, conflicting histories, and ever-transitional present. Covering five decades, her first major exhibition on the East Coast unites more than 125 photographs, primarily drawn from Iturbide’s own collection, and features thirty-seven new acquisitions, including pieces from “Juchitán,” 1979–88, a series on Mexico’s Zapotec women; six bewitching images of birds; and documentation of Frida Kahlo’s Casa Azul. Accompanied by a beautifully illustrated catalogue, this timely tribute to one of Mexico’s greatest living artists reveals that the other is always us. If, as Einstein predicted, World War IV will be fought with sticks and stones, its warriors may resemble Huma Bhabha’s powerful, tragicomic sculptural survivors. Bronze-cast totemic robots and monstrous humanoids built from discarded packing materials, massive heads held together with chicken wire and chewed-looking clumps of clay: Bhabha’s scavenged figures possess a stately, timeless presence, like statues immortalizing a gigantic future race, concocted from the choicest scraps pulled from that planet-size junkyard, earth. Alongside rarely seen masks, prints, photographs, and drawings dating from the early 1990s, “Huma Bhabha: They Live” will gather more than twenty of the Pakistani-American artist’s extraordinary sculptures, including Benaam (“nameless,” in Urdu), from her 2018 rooftop commission at New York’s Metropolitan Museum of Art, a sort of prostrate black bag described by Bhabha as “a monumental cocoon.” Contradictory themes of rebirth and apocalypse commingle with humor and the grotesque throughout.